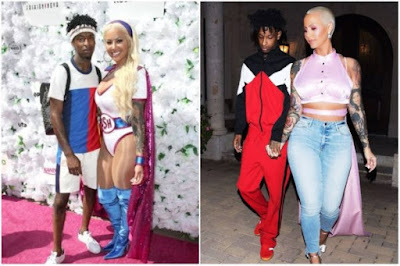 Amber Rose and 21 Savage had unfollowed each other on Instagram earlier this week. They were last spotted walking hand-in-hand on Valentine’s Day in Los Angeles. Then in October 2017, 21 Savage supported the reality star at her third annual SlutWalk. Before 21 Savage, Rose was linked to Dancing with the Stars pro Val Chmerkovskiy. Amber Rose and Val Chmerkovskiy split in February after about five months of dating.